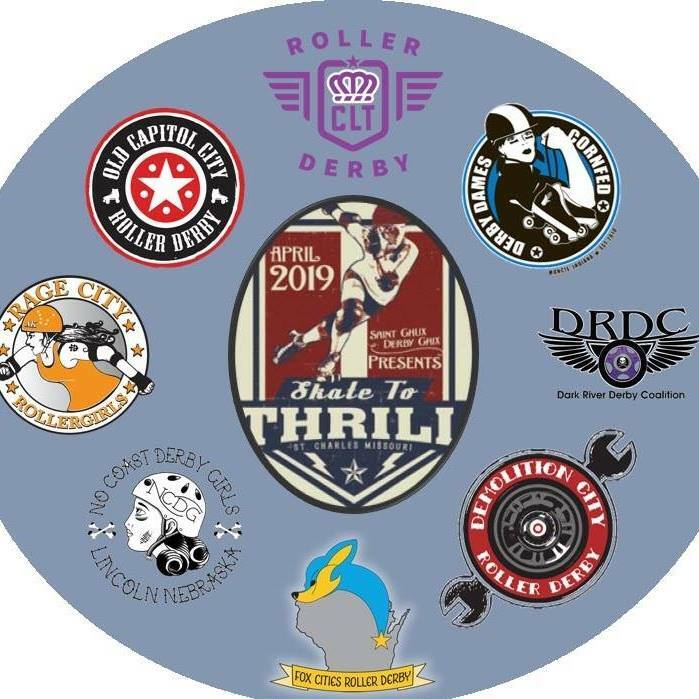 The sixth installment of “Skate to Thrill,” an officially recognized invitational from the Women’s Flat Track Derby Association (WFTDA), is set to take place in St. Charles this Saturday and Sunday. Hosted by the St. Chux Derby Chix , the eight-league, 12-game roller derby event takes place at Olympia Athletics & Events Center in downtown St. Charles (49 Lawrence Street). 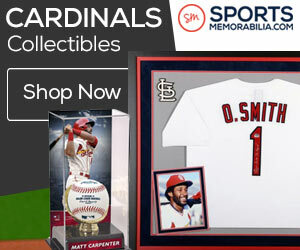 Saturday’s seven-game docket launches at 8 a.m. while Sunday’s five-game flight begins at 9 a.m. Heading the octet are Alaskan entry Rage City Roller Girls, who enters the event as the highest ranked league, and Lincoln, Nebraska’s No Coast Derby Girls, who are making their fifth appearance at the event. Seven states will be represented at the invitational. 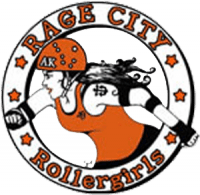 RAGE CITY ROLLER GIRLS (Anchorage, AK) – Current Rank: #75. The Anchorage entrants begin their season with the weekend flight. Finished 2018 with a 2-5 record but many of those losses were against higher-ranked squads. Jumped an impressive 18 spots last week to claim their current WFTDA benchmark and enter the invitational as the highest-ranked team. Squad was inactive on an interleague level after last May so getting back into a groove is the priority. A sweep would be ideal but the weekend is going to be extremely active. (Opponents: No Coast, Old Capitol City, Cornfed). 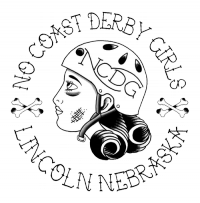 NO COAST DERBY GIRLS (Lincoln, NE) – Current Rank: #84. The Mad Maxines (0-0) are familiar to the St. Charles tourney. They finished the 2018 cycle 1-2, which included a one-point setback to Happy Valley. They dropped two positions in the last ranking for their current placement. Surging Rage City should provide the hardest challenge and the early launch on Day One might give them some early fits. If they fend off the Alaskans, they should be able to net a three-game sweep over the weekend. (Opponents: Rage City, Dark River, Old Capitol City). 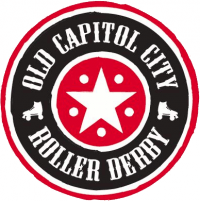 OLD CAPITOL CITY ROLLER DERBY (Iowa City, IA) – Current Rank: 122. The veteran franchise (0-1) fell to #85 Red Stick 301-110 in late-March so a turnaround with solid differentials is a priority for the team. Schedule is tough with higher-ranked No Coast and Rage City on the bill and stingy Cornfed might give them some sour belches. A 1-2 finish is projected but if they net an upset over one of the higher-ranked leagues, that would be a feather in the Old Cap hat. (Opponents: Cornfed, Rage City, No Coast). 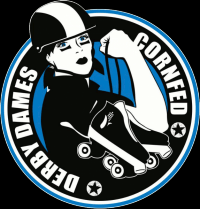 CORNFED DERBY DAMES (Muncie, IN) – Current Rank #130 – Fun-loving Hoosiers look to raise their collective derby IQ this weekend. Cornfed (0-2) was roughed up by #89 Steel City in early-February but have the talent to notch their first win, and possibly wins, of the season. Saturday morning match-up with Old Cap might reveal the potential of the weekend. Should claim win over lower-ranked Charlotte, so if the Dames earn the early win over Old Cap, a 2-1 finish is a projected result. (Opponents: Old Capitol City, Charlotte, Rage City). 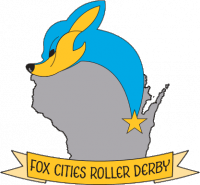 FOX CITIES ROLLER DERBY (Appleton, WI) – Current Rank: #134. The Badger State rollers tend to stick to close turf when it comes to invitational participation but here is a rare moment where to go out of their comfort zone and that’s pretty important as they have made their most significant rankings push in quite awhile. After a 5-1 sanctioned finish in 2018, Fox Cities are 1-1 this season with 183-79 win over #146 DuPage. Triangulation with Dupage and Dark River might lead to a Sunday win over Dark River and victories over Demo and Charlotte are plausible. A 3-0 weekend would certainly be impressive. (Opponents: Demolition City, Charlotte, Dark River). 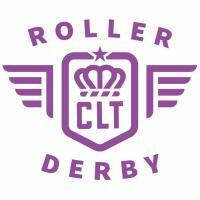 CHARLOTTE ROLLER DERBY (Charlotte, NC) – Current Rank: #144. Thrill newcomers from North Carolina could definitely make a push in the WFTDA rankings this weekend. Finished 3-5 in sanctioned play last season. 1-0 start in 2019 was launched by February’s 276-187 win over #164 Cape Fear. Charlotte’s offensive average the past two season is close to the bicentennial mark so if they get that same firepower over the weekend, they will certainly wreak havoc. Match-ups with Cornfed and Fox Cities might each contain over 400 collectively on the board. (Opponents: Demolition City, Cornfed, Fox Cities). DARK RIVER DERBY COALITION (Quincy, IL) – Current Rank: #154 – A returnee to Skate to Thrill, DRDC claimed a solo victory in their three-game set last year en route to their overall 2018 sanctioned record of 4-3. They started their season with a 183-136 setback to #146 DuPage Derby. Getting a victory over considerably higher-ranked No Coast on Saturday will be extremely tough. However, wins over Demolition City and Fox Cities aren’t out of the realm if they play clean. (Opponents: No Coast, Demolition City, Fox Cities). 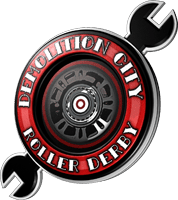 DEMOLITION ROLLER DERBY (Evansville, IN) – Current Rank 159: Demo is back in the rankings’ mix after an absence as they reached the required amount of sanctioned games in the last twelve months to gain re-entry. Consider this weekend their redemption weekend. Claimed a 140-102 win in St. Charles two weekends ago against #216 Cedar Valley. Possibility to pull an upset during the weekend might be tough because of the surging opponents. Goal this weekend is to stay close and record a trifecta of games that will give them a push in the WFTDA rankings complexion. 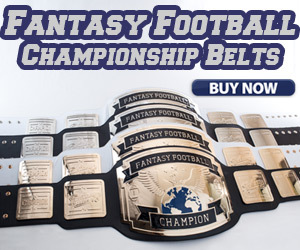 (Opponents: Charlotte, Fox Cities, Dark River). A weekend pass for the event is $20 when purchased in advance while a single day pass is $15. Group tickets of eight and more can receive a bigger discount and children 12 and under are free. GO TO THIS LINK for advance discounted tickets.